Beside eating copious amounts of ice cream, or hiding under layers of covers, or putting our heads in the sand—how do we uncover the light to pierce the darkness? My hope is built on nothing less, than Jesus’ blood and righteousness. I dare not trust the sweetest frame, but wholly lean on Jesus’ name. On Christ the solid rock, I stand; all other ground is sinking sand. All other ground is sinking sand. Faith. It’s not a weakness, band-aid, or fluffy ideology. It’s hope with skin on—skin and bones that came to walk the planet* so that we wouldn’t be suffocated by dread or buried in darkness. Jesus. The Son of God—fully man, fully God—came to bring hope to the hopeless, rest for the restless, and peace to the chaos by bringing Salvation to the sinner. Hope. The assurance that comes from knowing that even if it gets darker, He has already overcome that which threatens to take us under. We rise. We stand. 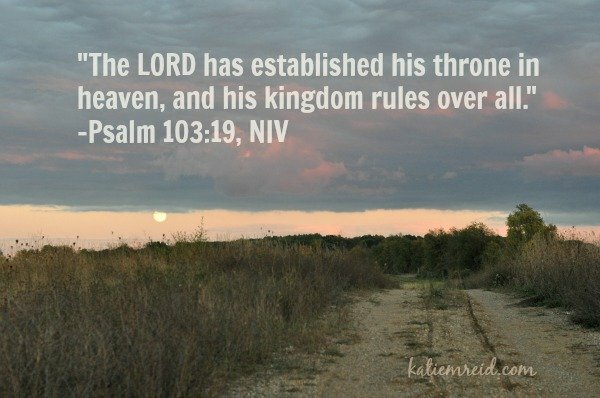 We follow the lead of the One who sits on the throne. It is the lifeline that is thrown when we are in quicksand. It is the anchor that holds us steady in the wind and waves. It is the breath in our lungs, the song on our hearts, the comfort that upholds us. His oath, His covenant, His blood support me in the whelming flood. When all around my soul gives way, He then is all my hope and stay. You don’t change. You don’t leave. You don’t abandon us. You don’t lack. You Are. You remain. You dwell within. You are enough. Lord, help us! We have turned our back and we feel the harsh reality that comes from distancing ourselves from You. Help us remember Who You are. You are Love. You are Peace. You are Holy. You are Just. You are Perfect. You are in Enough. You are enough for this lack. You are able to do anything! *I heard this phrase “Jesus put skin and bones on and came to the planet” on an album of Judah Smith’s messages. **On Christ the Solid Rock I Stand by Edward Mote. It’s tempting to give way to fear in these turbulent times. My friend, Kelly Balarie, has written a book to awaken our courage. It’s called Fear-Fighting: Awakening Courage to Overcome Your Fears. Head on over to fearfightingbook.com to learn more about this powerful resource. Those are strong, fighting words, Katie. Beautiful. Visiting via #raralinkup. Hi Kristi- Thank you friend. 🙂 Hope you are doing well! Our hope is in God and in Him alone Katie. Beautifully articulated here. Thank you for this poignant reminder that our Hope is in Jesus. May we find strength in this truth so that all we see and come to Him. Thank you again for sharing your thoughts. Have a fantastic week and may God richly bless you and yours. Thank you Horace. You are indeed an encourager! Katie, you have such a God given gift for words and writing. This post was amazing and really touched my heart. Thank you so very much for sharing your soul and for these powerful truths! Just amazing! Thank you dear Susan. Praying you are encouraged today to press on!